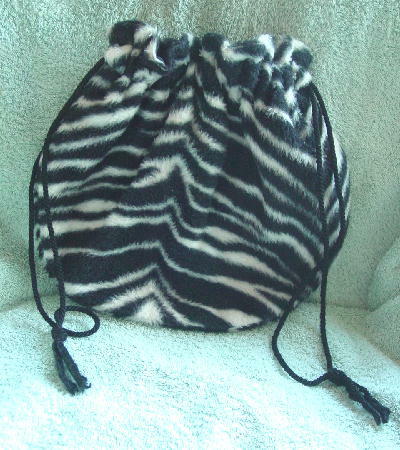 This vintage handmade purse has a faux fur fabric exterior in black and white. It has a black double cord drawstring top closure with thin tassels on each end. 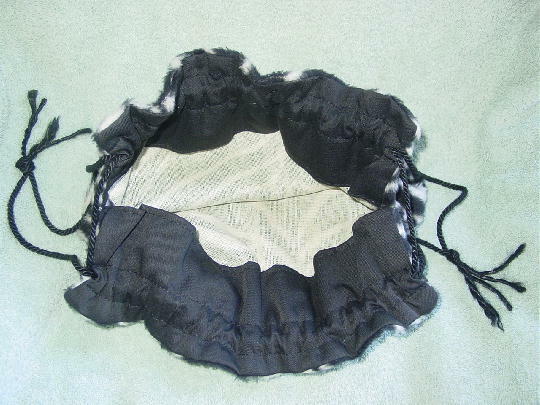 The top interior has a black 4" wide grosgrain fabric lining and the rest of the purse is unlined. It has a rounded bottom and is light in weight. It was originally used in a foreign film.